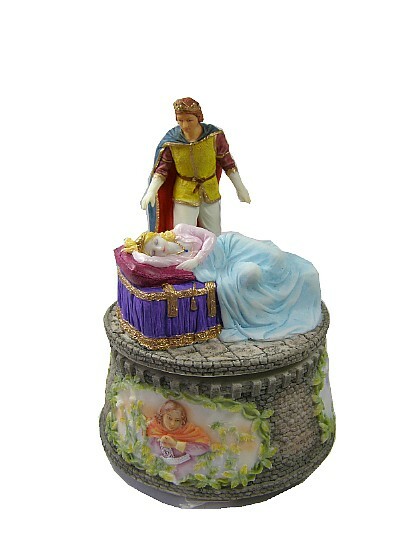 This musical figurine of Sleeping Beauty and Prince Charming is depicted on a castle style plinth. Wound from underneath, the clockwork musical box movement plays Once upon a Dream. IMPORTANT NOTICE - Our range of waterglobes and figurines are mostly made from a cast resin, They make wonderful gifts, but they are not toys. 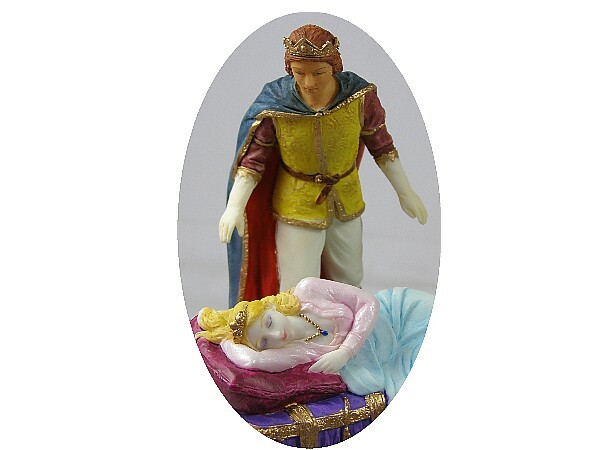 They are a collectable figurine, so children should be supervised if handling them, If you are unsure about suitability, please ask one of our staff for guidance.